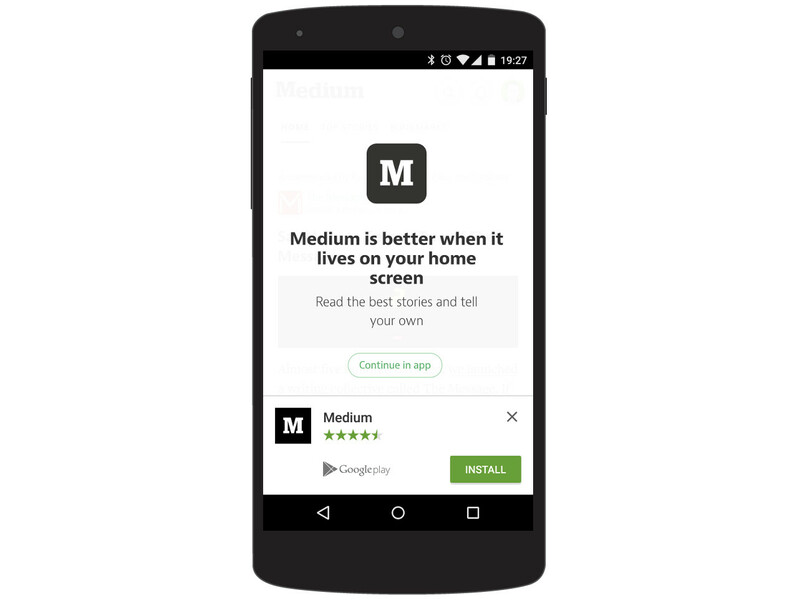 “Medium is better when it lives on your home screen”, they say. Well, it does live on my home screen; that’s where I launched it from. What they actually mean by these words is: ‘you should install the app’. And I know they mean this because it then shows me a button, urging me to ‘continue in app’, which takes me to the Medium app install page on Google Play. And just below that is an app install banner which lets me skip Google Play and install the app directly. Also, there seems to be no way to continue without installing the app. Wait… my mistake – there’s a small, somewhat apologetic, secondary ‘no thanks’ link hidden behind the app banner. This makes me feel a little guilty and silly for wanting to take what I understand to be the apparently dumb action of viewing medium.com content on the web. Still, once I took the sucker’s option of clicking ‘no thanks’, I could at least see the stories on medium.com. So I clicked the top one that was recommended for me. And the first thing on the page is another banner, this one telling me to “change my mind” and install the app – with a convenient link to install from Google Play. 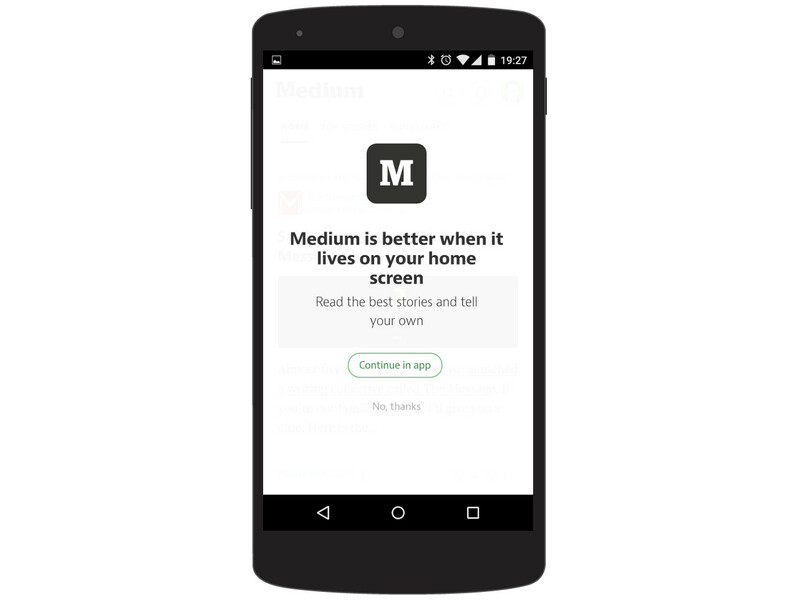 Team at medium.com: I am very disappointed in you. After two actions required to visit the website (close the app install banner, click ‘no thanks’), you still think I might not want to read the content in my browser? May I ask: are you getting paid by the app install numbers? Because to spend so much time making your website ‘modern and mobile‐optimised’ — which it really is — and then to slap on such a frustrating user experience… I don’t know, maybe I should give you the benefit of the doubt, presume your marketing people told you to do this. Because otherwise I’d hate to think anyone could do something so self‐sabotaging. I made the choice to visit your website, and you not respecting that choice leaves me feeling like a very unwelcome guest. I’ve cross‐posted this article to Medium, because I enjoy the irony. 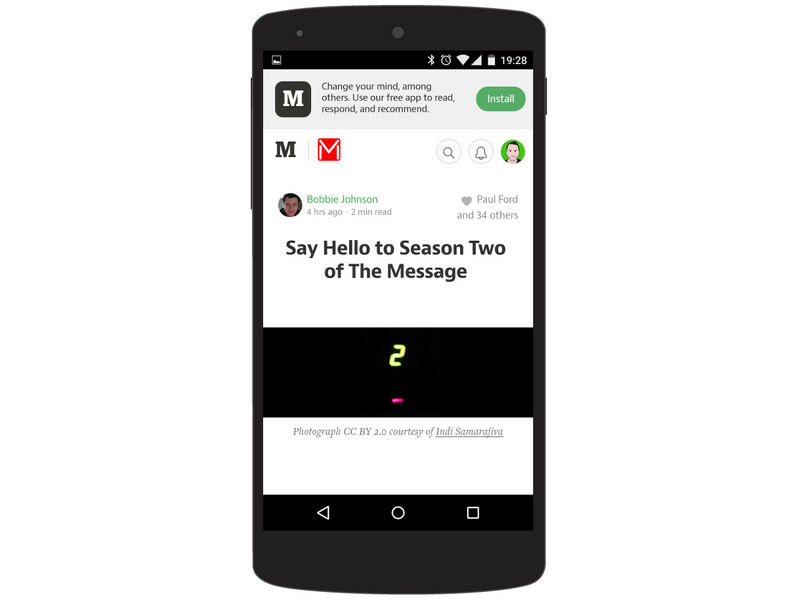 Update: Cara Meverden, product manager for Medium’s Android app, has responded with an explanation of what happened. What I don’t really understand is that why does every blog‐news related site needs a dedicated app? The web browser (or a feed reader) IS the app for reading online articles, there shouldn’t be any need for a dedicated app to do that.